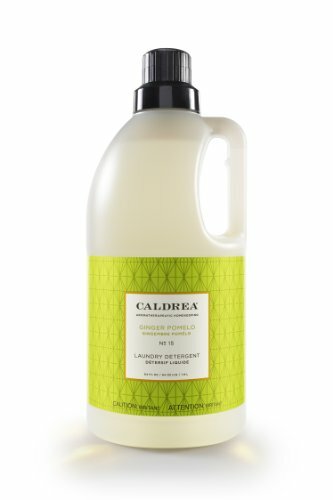 Caldrea Laundry Detergent is mild, yet highly effective. It contains powerful, plant-derived surfactants and Borax to get your whites white and colors bright. Additionally, the fragrance from our special formulations of essential oils will linger in your clothes long after they are folded. Safe and effective for all types of washable fabrics at all water temperatures, in hard water or soft. It is biodegradable and contains no phosphates.